Sometimes, I wonder what the Buddha would have thought about guided meditations. I think he would have approved of them as useful tools for the beginner learning the ways of meditation, or even for someone experienced that's simply going through a difficult challenge and needs a voice to guide them to a place of greater calmness and clarity of mind. In any case, more than anything else, it matters what you think. What you feel. What works for you. And that's why I, and why so many others, enjoy guided meditations. Guided meditations are more than just words on a page (as much as I enjoy writing). The sound of the teacher or speaker in your ear guiding you through the meditation is the closest thing to having a real teacher right there with you as you can get without actually having one there. My podcast, Zen for Everyday Life, features two weekly episodes. One is a talk discussing similar topics like those I discuss on the blog. The second is a free guided meditation on everything from classic mindfulness meditation forms such as the Zen form of zazen, to loving-kindness, to Thich Nhat Hanh's practice of Going Home, as well as new and unique free guided meditations that I've created such as Healing Through Understanding and Just Being. Below is a neatly compiled list of the best free guided meditations from the Zen for Everyday Life podcast. Check back here regularly for new guided meditations. *Click the corresponding link to go to the guided meditation page. Right click the big yellow download button and click "Save file as..." to download the file to your computer or simply hit Play to listen on the page. Breath As Life - The basic mindfulness practice of mindful breathing. This is a 1-click free download separate from the podcast. Nothing, not even an email, is required to download this. All you need to do is click the link. Enjoy. Going Home - This guided mindfulness meditation is on Thich Nhat Hanh's classic mindful breathing practice. This is the simplest of practices and is really what mindful breathing is all about- going home to yourself with mindfulness. Zazen (Zen sitting meditation) - This a guided meditation for the classic Zen form of mindfulness meditation. It's basically mindful breathing in a very free manner (as opposed to Vipassana, which is more active). Minful Refresh - This is a guided morning meditation for starting your day off fresh each day with a simple mindfulness practice. This, to date, is one of the most popular guided meditations I've done and a personal favorite. Just Being - Just Being is very close to the Zen practice of "just sitting" or shikantaza. It's the practice of accepting everything openly as it is with mindfulness and just being in this moment. Another community + personal favorite. Healing Through Understanding - This is a very active guided meditation and it's all about opening the mind after a difficult conflict with another person. A Mindful Welcome - A Mindful Welcome is about the fundamental shift from “hostile enemy” to “welcoming friend” we must make to begin the path of healing emotionally. Mindful Wisdom (@42:16 in the episode)- Mindful Wisdom is a moment-to-moment mindfulness and contemplative practice I created for unlocking your own intuitive wisdom. What would the Buddha do? Mindfulness of Body (@40:10 in the episode) - The traditional mindfulness of body meditation. Loving-Kindness - Loving-kindness meditation is the traditional Buddhist meditation practice of cultivating positive feelings and well-wishes for all beings. Mindful Walking / Walking Meditation (Formal Practice) - The formal practice of walking meditation typically done immediately following a session of sitting meditation in many Buddhist circles. Mindful Cleaning - A powerful mindfulness practice that takes a typically boring and mundane activity and turns it into something nourishing and delightful. Mindful Driving - A powerful mindfulness practice for turning a typically mindless autopilot activity into an opportunity for peace and mindfulness. Mindful Breathing (Basic Mindfulness Meditation) - The fundamental practice of mindful breathing. 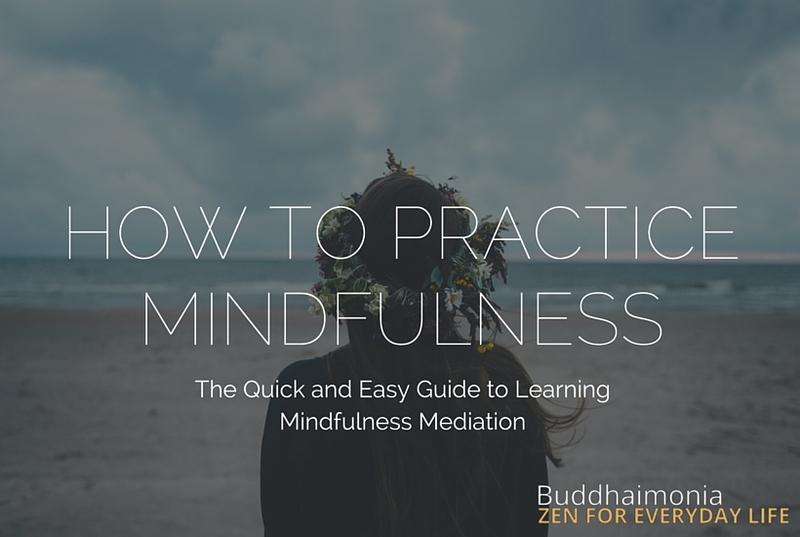 When you hear “mindfulness meditation” (which typically refers to the secular practice of mindfulness) this is the practice that’s being referred to. Mindful Walking (Informal Everyday Practice) - The “everyday” informal practice of mindful walking. Mindful Eating - If you’re looking for a way to live your everyday life more mindfully and even meditatively, this is a great practice which serves as one of the core mindfulness exercises. Being in Your Meditation Space - A special guided meditation from my course Meditation for Everyday Life which is designed to help you "settle" into your designated meditation space and cultivate it into a place of solace. Mindful Smiling - This guided meditation is all about using the power of intention and the natural effect of smiling with mindfulness. Rise with the Sun (a Guided Morning Meditation) - Rise with the Sun is about taking inventory before the day gets started so that you’re on solid ground and can handle the challenges of your day with more poise and clarity.